Which one is most expensive? 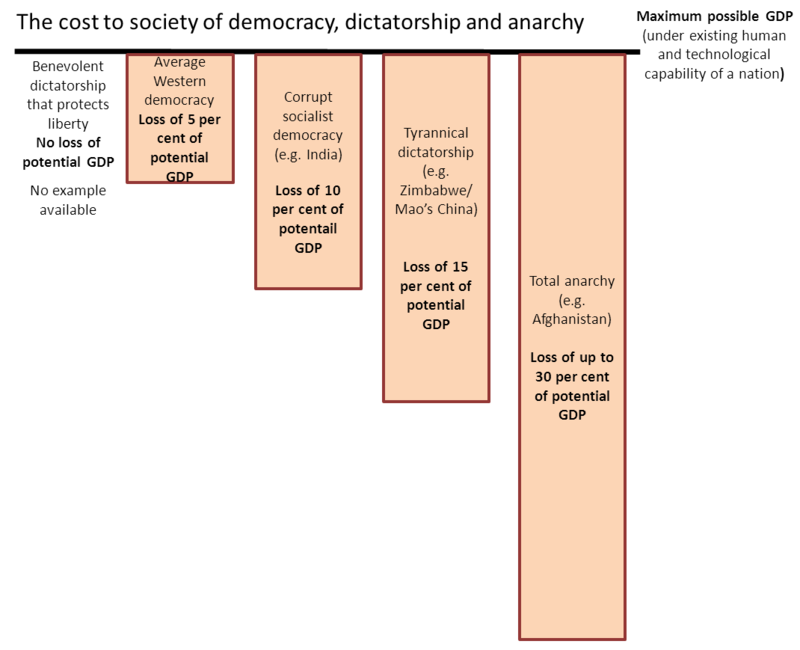 Democracy, dictatorship or anarchy? ← Which one is most expensive? 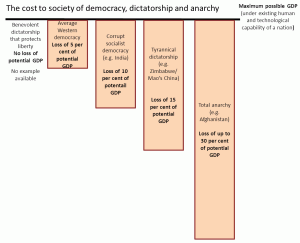 Democracy, dictatorship or anarchy?